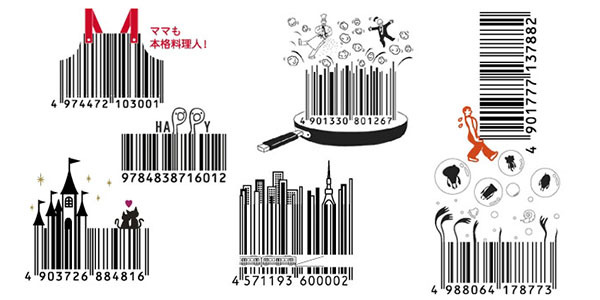 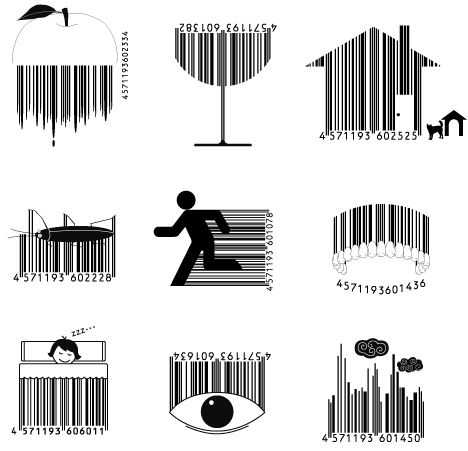 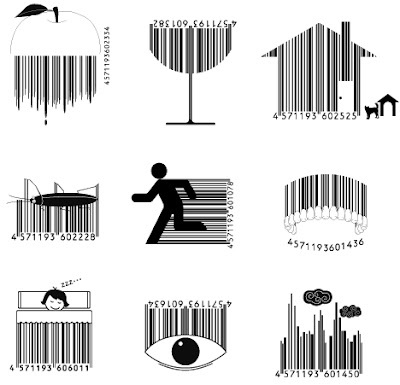 Just stumbled across these awesome designs of barcodes- used mostly from Japan, which are designed to be associated in some way with the product that is being sold. Wine glasses, cooking utensils, clothes and tourist souvenirs could easily be coded with some of the following, and I'd certainly be more susceptible to buying something with one of those bar codes! 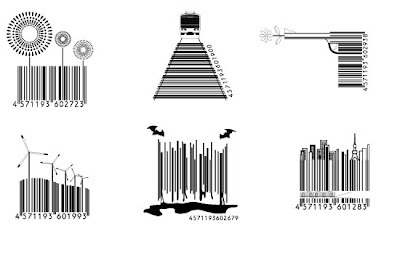 Surely someone out there will confess to collecting them sooner or later and enter the Guinness book of world records- mark my words- ONE DAY it will happen! 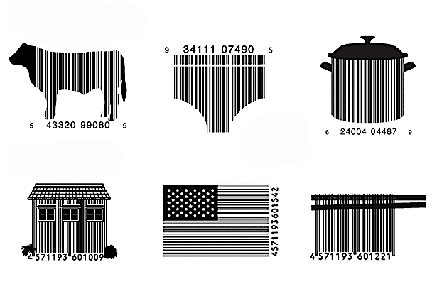 Both for aesthetics and purpose, these designs succeed at exploring consumerism. We soon become oblivious to the bar codes we see on almost every product, but these designs challenge that, and bring out attention back to the otherwise mundane. Seriously, these should be mandatory as they simply make the ordinary, extra-ordinary.